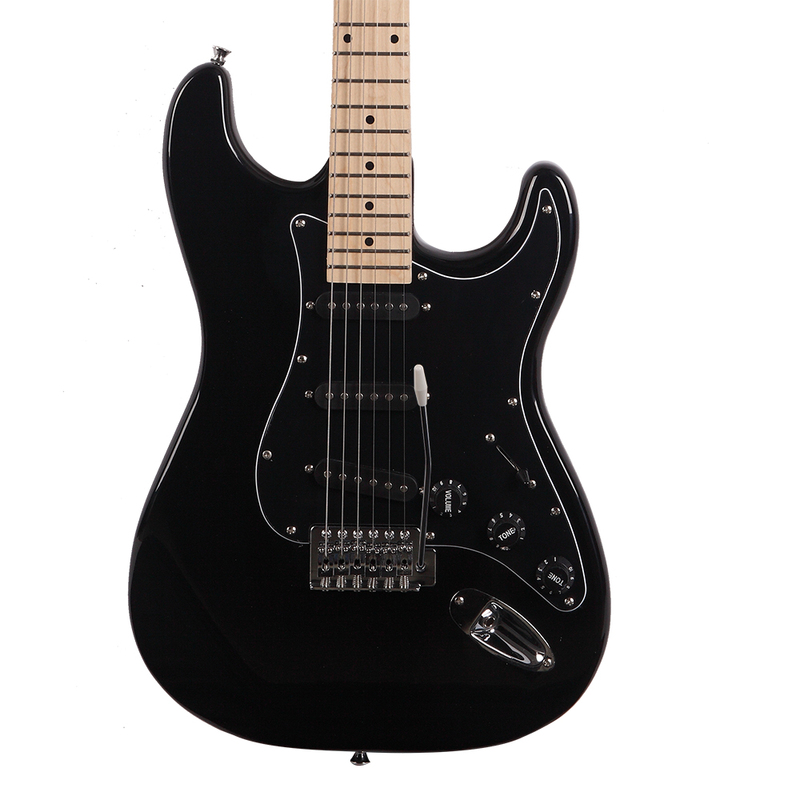 Do you fall in love with this Glarry GST Style Electric Guitar Kit the first sight you see it? 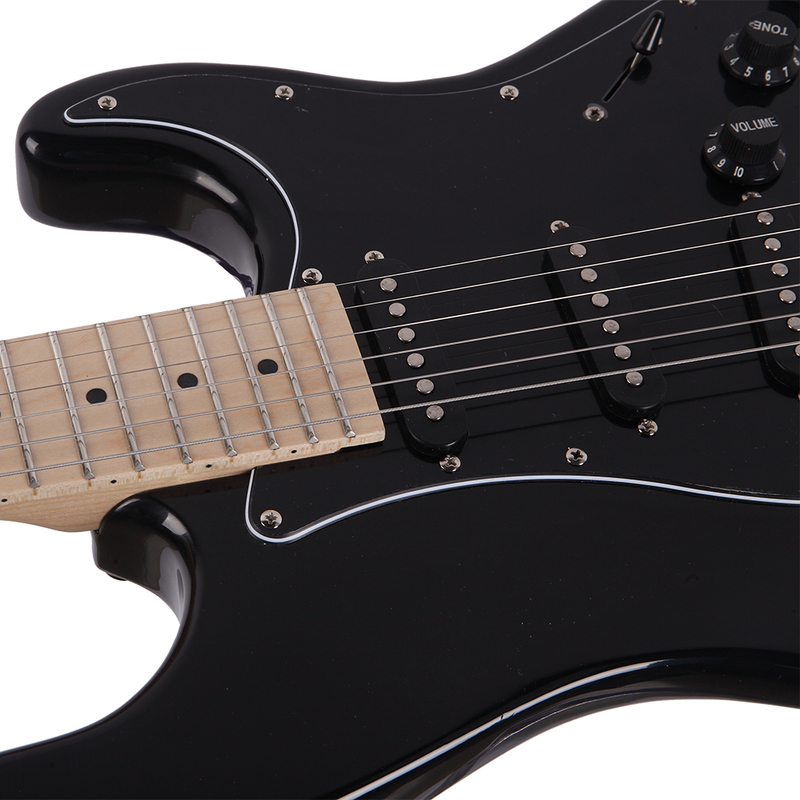 We offer this electric guitar for its perfect performance, stylish appearance as well as its reasonable price. 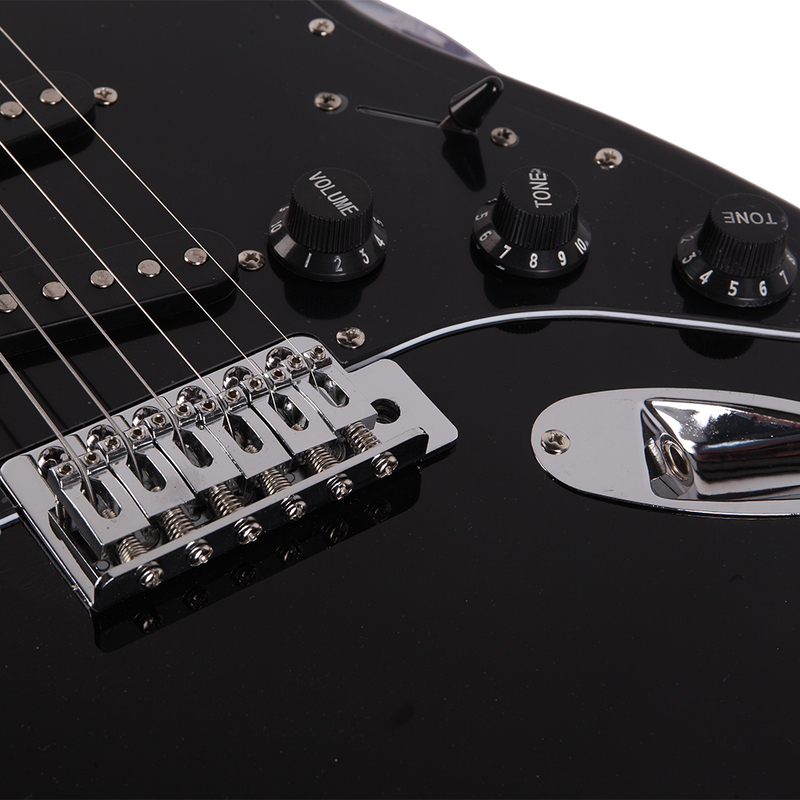 Designed with a black pickguard , this guitar looks more charming and unique than others. With humanized design and high quality, it is durable to use. 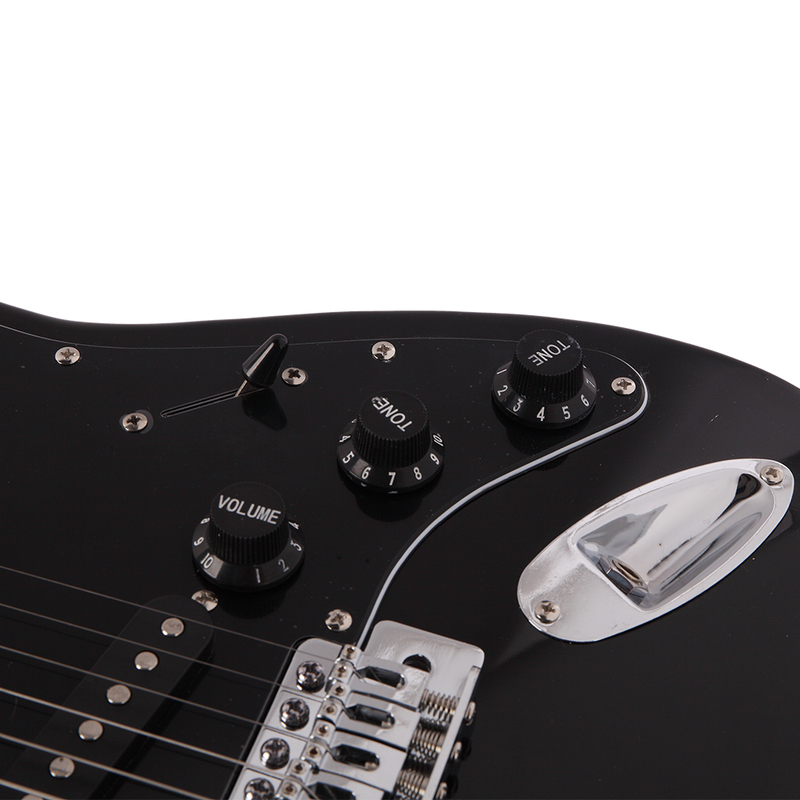 What is more, the standard tone from this guitar gives you wonderful audio experience. 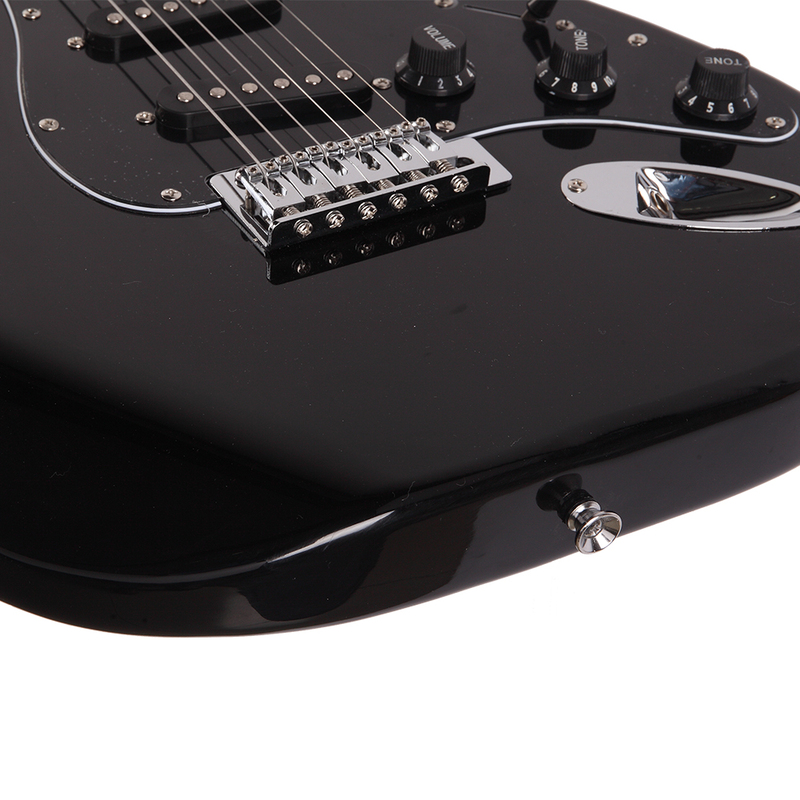 Featuring comfortable hand feeling and melodious tone quality, this electric guitar will be your regretless choice! 8. 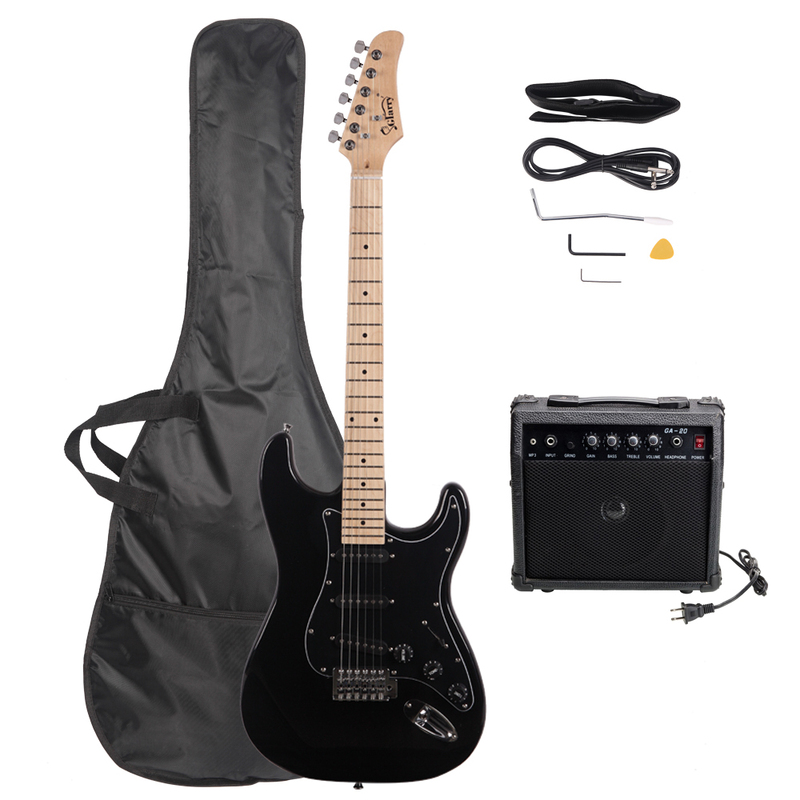 It comes with speaker, guitar bag, shoulder strap, plectrum, crank, connecting wire and spanner tool etc.